Come along on a creative and gastronomic journey in the fabulous South of France. 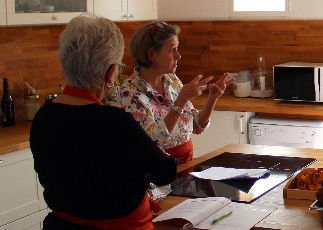 Lead by Annette Morris and Anne de Ravel, this 6-night holiday combines sketching workshops, cookery, food and wine-tasting, the perfect getaway for singles or couples. Monday - Travel with Annette for your first sketching session. Lunch at a local restaurant (non-sketchers are welcome to join) before returning to La Maison de Quarante. You will have time to relax in the afternoon before a wine tasting lead by an expert. Dinner will follow. 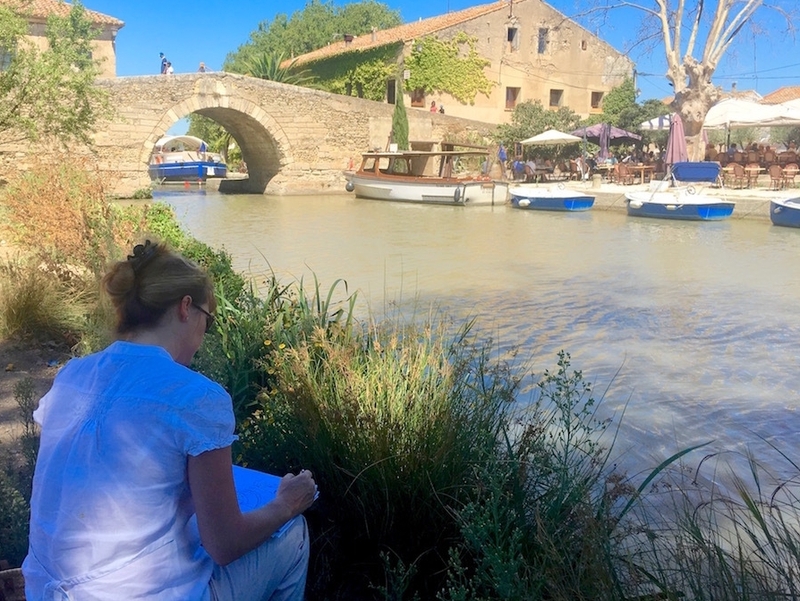 Tuesday - A very special chance to sketch in and around the grounds of a privately owned olive mill and art gallery outside Béziers. Lunch at a local restaurant (non-sketchers are welcome to join) before returning to La Maison de Quarante. The afternoon will be free to spend as you wish before the evening aperitif and dinner. Note: sketchers are welcome into the kitchen during the preparation of the meal to sketch ingredients, cooking gestures, etc. Wednesday – Take a break from sketching and meet a winemaker. After a guided tour of the vineyard, you will enjoy a comprehensive wine tasting followed by a picnic lunch (non-sketchers are welcome to join) at the vineyard. The afternoon will be free to spend as you wish before the evening cooking class and dinner. Thursday - Annette’s sketching excursion will take you to one of the region’s finest indoor markets, the bustling Narbonne’s halles. Lunch at a restaurant featuring local seasonal produce (non-sketchers are welcome to join) before returning to La Maison de Quarante. The afternoon will be free to spend as you wish before the evening aperitif and dinner. Note: sketchers are welcome into the kitchen during the preparation of the meal to sketch ingredients, cooking gestures, etc. Friday –Sketching along the piers of Port La-Nouvelle, an active fishing village on the coast. Lunch in town (non-sketchers are welcome to join). The afternoon will be free to spend as you wish before the final cooking class and festive dinner. A 25% deposit will secure your reservation. Final payment is due no later than 20 days before your arrival date. If the balance remains unpaid at that time, we reserve the right to treat the reservation as cancelled and retain the deposit paid.